Collections by Weiser offers five handlesets to choose from. These handlesets offer solid forged brass construction and Grade 1 cylinders for uncompromised security. The classic round shape and intricate lines of the Wickham knob complement and enhance a variety of design styles. This passage knob/lever is best used in interior hall and closet applications where no locking is required. The knob/lever is reversible and mounts on both left and right handed doors. The Venetian Bronze finish is hand-rubbed to reveal unique bronze highlights and provides a rich and warm complement to the product's style. Wickham Venetian Bronze Passage Knob Collections by Weiser offers five handlesets to choose from. These handlesets offer solid forged brass construction and Grade 1 cylinders for uncompromised security. The classic round shape and intricate lines of the Wickham knob complement and enhance a variety of design styles. This passage knob/lever is best used in interior hall and closet applications where no locking is required. The knob/lever is reversible and mounts on both left and right handed doors. The Venetian Bronze finish is hand-rubbed to reveal unique bronze highlights and provides a rich and warm complement to the product's style. 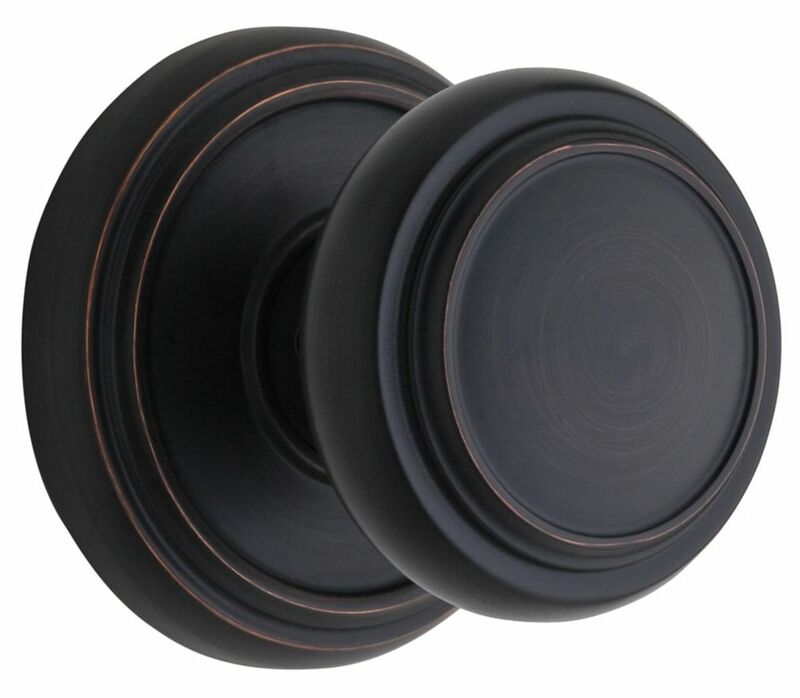 Wickham Venetian Bronze Passage Knob is rated 5.0 out of 5 by 2. Rated 5 out of 5 by Tbahz from Classy and sturdy. This is an excellent classy but somehow contemporary knobset. It’s heavy and doesn’t feel cheap. Definitely recomment. I prefer the Venetian bronze as it’s not as dark and has more character than the forged black. Rated 5 out of 5 by ServiceMaster of TBay from Solid door knob We used this style when restoring a turn of the century home, the finish was slick, the door knobs were heavy compared to the majority of others, they fit the decor perfect! Will the the finish on this door handle stand-up to exterior weather? - we'd like to use this on a patio door with a deadbolt, so a lock function isn't required for the door handle. Weiser finishes are tested for durability in all weather conditions. Additionally, a new Weiser product is backed by a limited lifetime warranty for the finish.